Are you or a member of your team interested in becoming certified as an NQA-1 Lead Auditor? If so, your journey to certification begins by taking the NQA-1 Lead Auditor Training Course offered through Nuclear Training Institute (NTI) in Norcross, Georgia. EARLY REGISTRATION SPECIAL! – Register by January 31, 2016, and save $100 off course fees, making NTI one of the most affordable NQA-1 training programs in the country! Register Now for April 4-6! NTI’s NQA-1 Lead Auditor Training Course is taught by industry leader, Joe Mallia, who has 30 years of experience in power generation, including design engineering, fabrication, plant construction, initial start-ups, operations, maintenance, project management, quality assurance and research/development. A complete bio can be found here. NTI is located inside the United Controls International office building in Norcross, Georgia, and includes a Harvard stadium-style classroom with capacity for more than forty participants. An adjoining traditional style conference room is used for break-out sessions and hands-on team exercises. Parking is complimentary. Classes are held 8:00pm – 5:00pm each day, and lunch will be provided. The Hyatt Place Atlanta/Norcross/Peachtree, which is within walking distance to our facilities, offers a limited number of special corporate rates to our guests. Early Registration is now available through January 31, 2016. Enter promo code EARLYREG to save $100 off course fees. 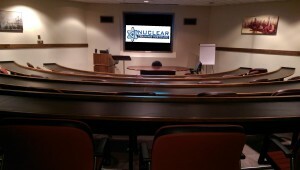 Visit http://nucleartraininginstitute.com/ for more information and secure online registration. Click here to be redirected to our newsletter. NTI was founded by nuclear industry veterans, Luis M. Sanchez (VP/COO of United Controls International) and Robert B. Hale (President/CEO of United Controls International), to provide relevant training courses for the development of nuclear industry professionals. Our offerings have since expanded to include on- and off-site training, internal and external auditing services and consulting. NTI works with auditors, engineers, project managers and other key positions in the nuclear power industry to ensure they have the tools necessary for driving compliance and organizational success. 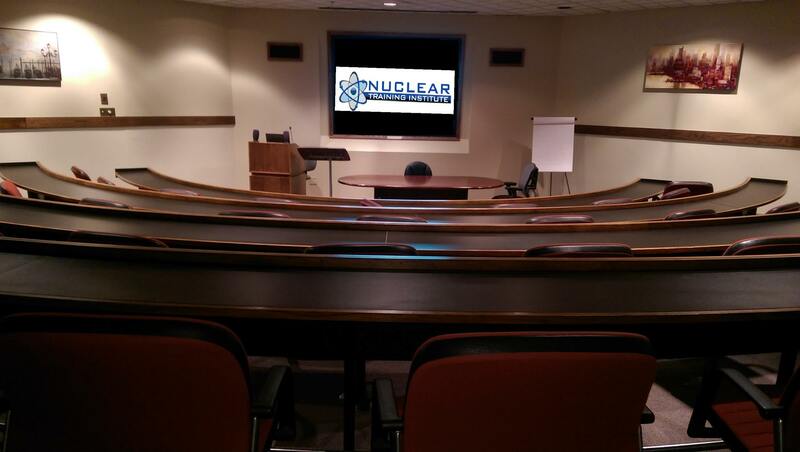 We provide a wide range of training courses for nuclear lead auditors, technical specialists and project managers. NTI has trained, qualified and certified auditors which meet NQA-1 and ANSI N45.2.23 requirements to provide any required NIAC auditing services for your company. Our team can also assist your company and management team in identifying problem areas, creating specialized solutions and improving overall Quality, all at an affordable cost.